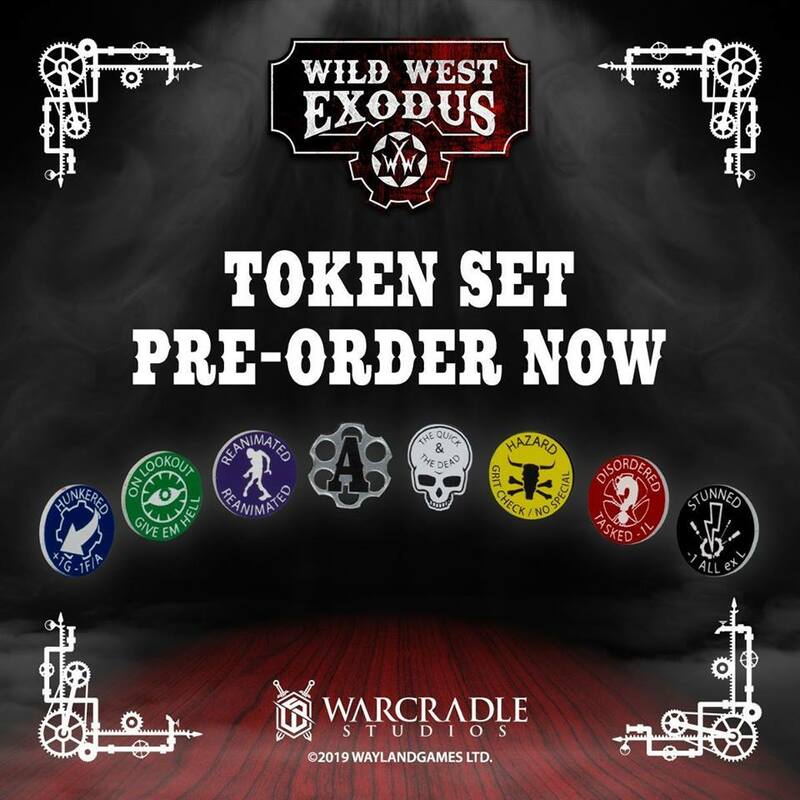 Für Wild West Exodus können einige neue Figuren und ein Tokenset vorbestellt werden. 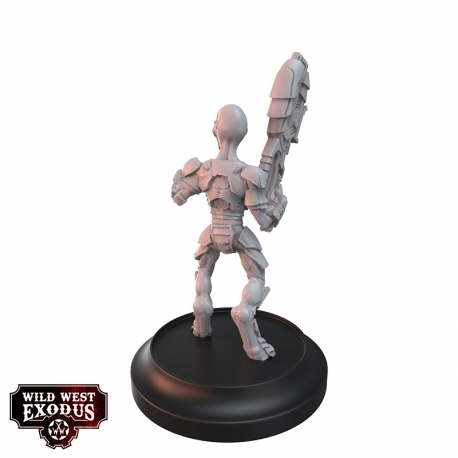 All species within the Watcher Hegemony have their role to play. The Watchers are all too aware of the pitfalls of over specialising. 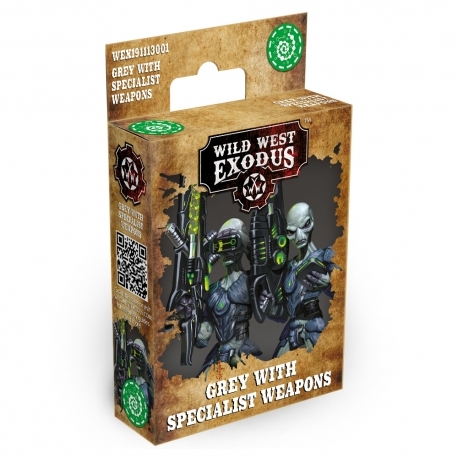 They have not endured for centuries by being inflexible in this manner and so have an entire species, the Grey, who specialise in… not specialising! 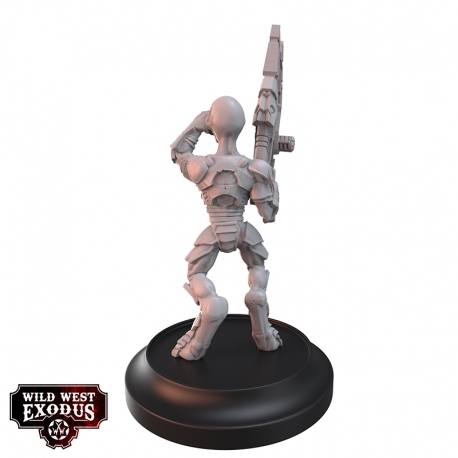 The Grey are bred as foot soldiers, labourers, architects, engineers, spies, diplomats and scientists – whatever the Watchers need them to be. 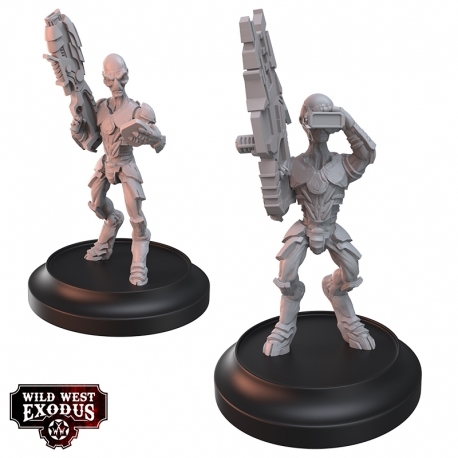 When circumstance causes the Watchers a need to rely on the Grey for military operations, they are birthed from gestation vats aboard their Arkvault or base of operations with Vermillion or Onyx traits spliced into their genome. 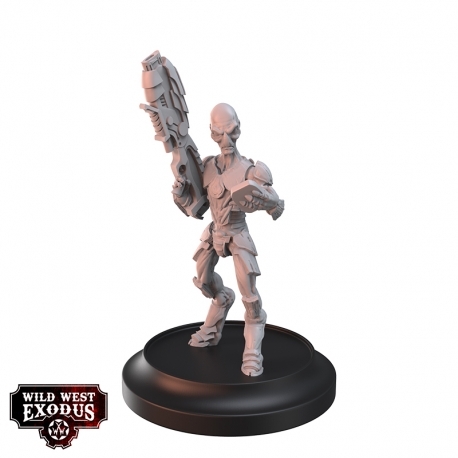 This additional genetic material allows them to utilise a wide variety of sophisticated and deadly weapons. 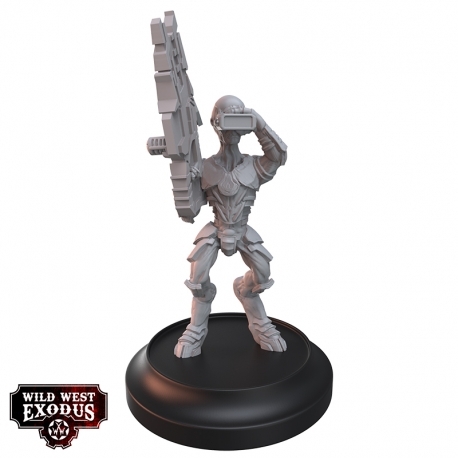 These Grey are deployed in support of their more lightly armed kin and can coordinate with Grey Elites or even Viridian commanders to bring about victory for the Watchers.